The new kit utilizes a highly efficient media based protocol to produce skeletal muscle cells from stem cells in a simple, scalable manner. The potential to differentiate stem cells into specific cell types is revolutionizing life sciences, from new methods of studying developmental biology and novel approaches to producing accurate disease models to techniques to help drug discovery and toxicity testing. Until recently methods of studying muscular disease and potential therapies were dependent on invasive muscle biopsies to produce limited batches of primary cells. Use of primary cells presents challenges, not only in the collection process but also related to inconsistencies in cell growth, behavior and life span, making it difficult to generate reliable experimental models. 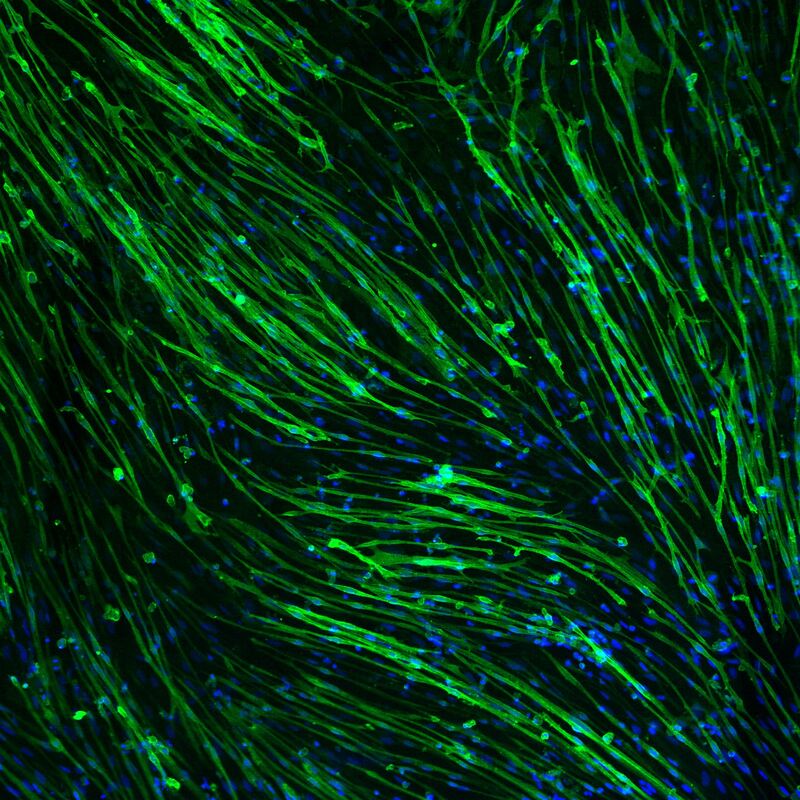 The new Skeletal Muscle Differentiation kit offers researchers a unique tool to rapidly differentiate donor stems into functional myotubes in a reproducible fashion. Tested on a wide range of human embryonic and induced pluripotent stem cell lines the new kit follows a simple 3-step process of media changes and cell passaging. Eliminating the need for cell sorting or transfection of myogenic transcription factors, the three step protocol generates a highly pure population of approximately 70 per cent skeletal muscle myotubes in weeks.